The Command IIIe (CIIIe) is considered the “brains of the system”, and is a crucial and necessary component of the egg production, environmental management, and HACCP monitoring part of your business. CIIIe is specifically engineered for the intricacies of poultry house management, and is not standard off-the-shelf hardware any electrician can assemble. PMSI designed the Command III from the ground up with poultry industry specifications in mind – today’s larger houses, dirt, ruggedness, high electrical noise, and water resistance, to name a few. 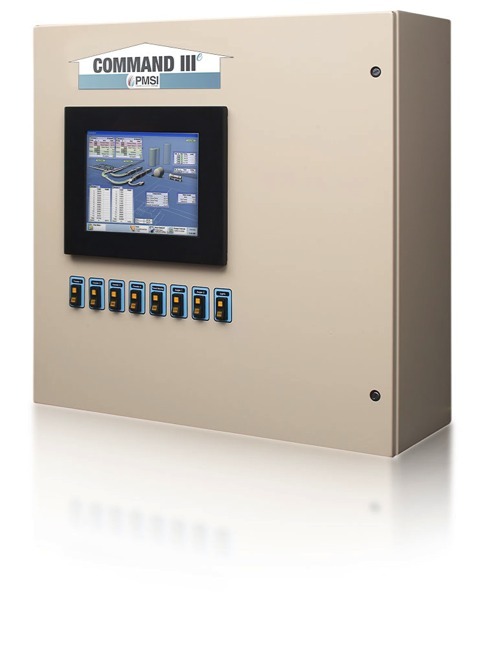 CIIIe is a revolutionary step forward for computer controlled environments: Its intuitive touch screen; its ability to view and manage other buildings remotely; its Valu-NetSM redundant, strategic network with high integrity requiring less fiber; its better access to important data; its combination of NOAH and REF on the same platform; its reliability and its cost effectiveness – all ensure less service and more self-sufficiency. PMSI designed the Command IIIe (CIIIe) from the ground up with poultry industry specifications in mind – today’s larger houses, dirt, ruggedness, high electrical noise, and water resistance, to name a few. 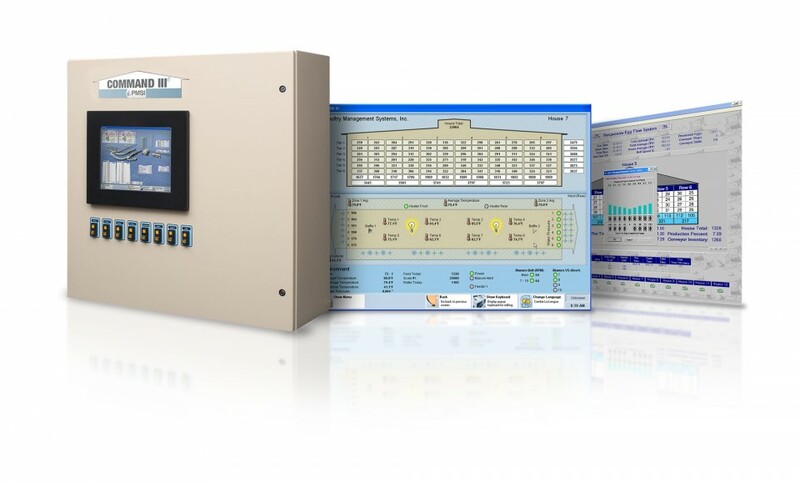 Enhanced graphics, improved screen navigation, and full User Profiles support are now standard with every CIIIe system. 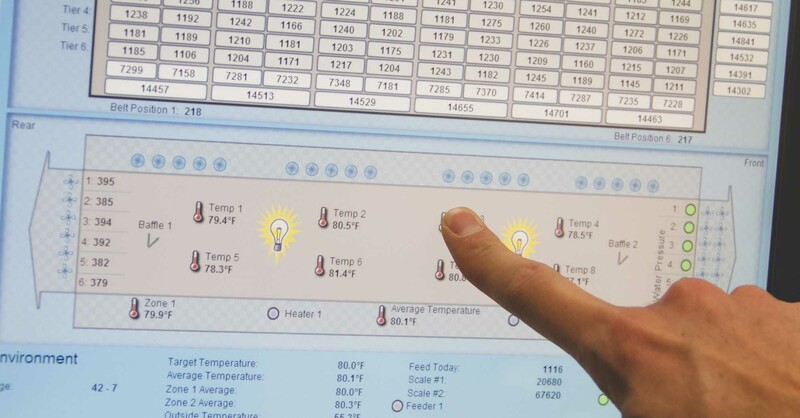 Each CIIIe system can run on REF, NOAH, both, or as a stand-alone system and will be customized for your site and your specific poultry needs. An improved network structure, rod monitoring for egg flow, increased history storage and an improved user interface highlight the features available on the CIIIe. Using network event notification, CIIIe is now able to notify you immediately of a rod-monitoring alert. The CIIIe Display can be configured to popup on your REF and/or REF remote(s) to let you know about a rod sensor alert. The CIIIe Display screen will load, allowing you to see where the fault has occurred. The display will remain onscreen until the alert has been reset. 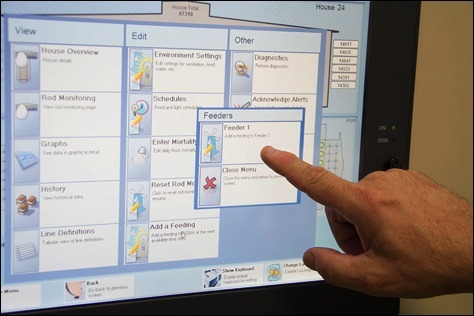 When the “Reset” button has been clicked, all cross-conveyor monitoring CIIIe screens will be closed unless “Cancel” is clicked. Enhanced History Storage — Store device history in a variety of ways. In addition to ten-minute history, CIIIe can also store history in shorter or longer time increments. You decide how to store and view device history. Non-editable fields in the editor pages allow viewing of set points that are used in the CIIIe control logic scheme. This allows for greater understanding of CIIIe control without the possibility of accidental editing. A “Log In” cell on the editor screen allows a user profile change without returning to the login screen. Groups of set points may be further combined into separate logical groups for easy editing. USE THE TABS BELOW TO BETTER UNDERSTAND HOW THE CIIIE HELPS IN EGG PRODUCTION, ENVIRONMENTAL AND PRODUCTION MANAGEMENT, AND HACCP MONITORING AND CONTROL. 890 O.E. Bieri Industrial Drive.